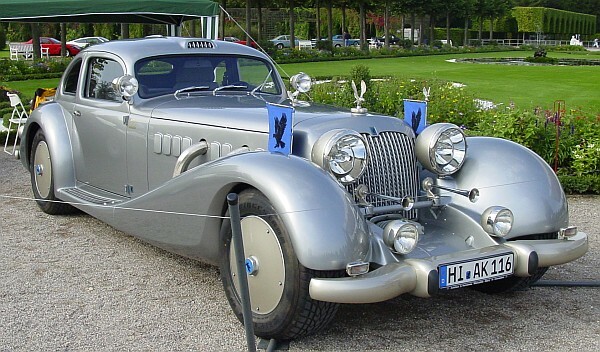 Back in the 30's, when the real "Concours D'Elegance" happened, it was quite normal for coachbuilders to present their new creations at one of these events. Today, a Concours D'Elegance normally just shows those dreamcars of the past. Well, this time, at the 2006 Oldtimergala Schwetzingen, Isdera took the chance to present the all-new "Autobahnkurier". This car is quite unusual in many ways. About 20 years ago, Isdera started the project. built in the late 30's, when the first Autobahn were built. The AK 116i is powered by two Mercedes V8-engines, each coming from a W126-500SE. One engine gives the power to the rear-axle, the other one to the front-axle, so the car has 4WD. 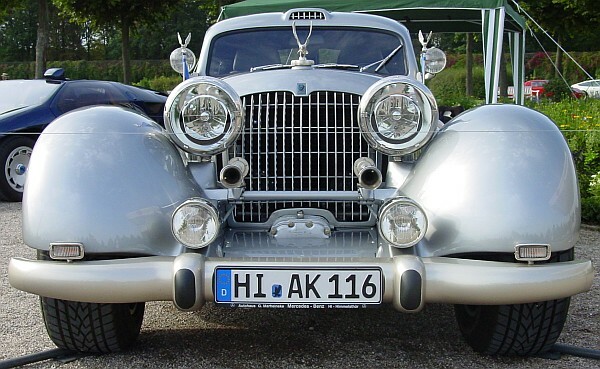 The gearbox for the front looks similar to the compressor, that original Autobahnkurier cars normally had. The side view shows that from the windshield to the end of the car, there are similarities to the VW Beetle (the old one, not the New Beetle! If you can remember the old Beetle, so you are oooold!). 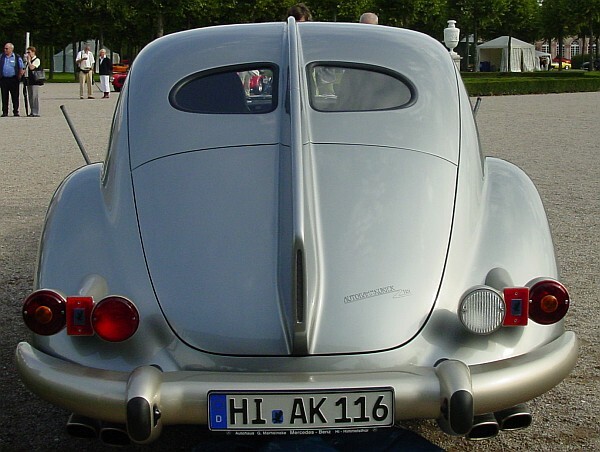 It is said that the doors are modified Beetle-doors, the rear-windows look like they are coming from the same base.